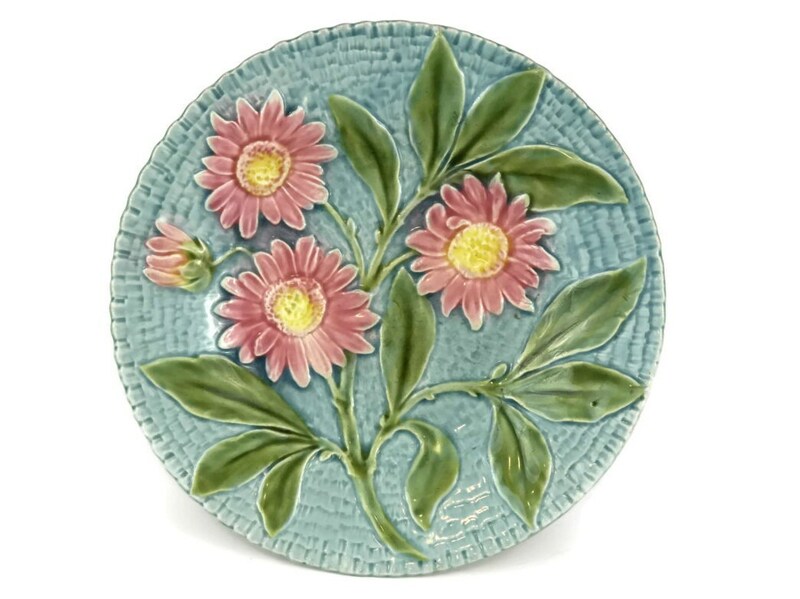 French Antique Sarreguemines Blue Majolica Wall Plate With Pink Daisies. 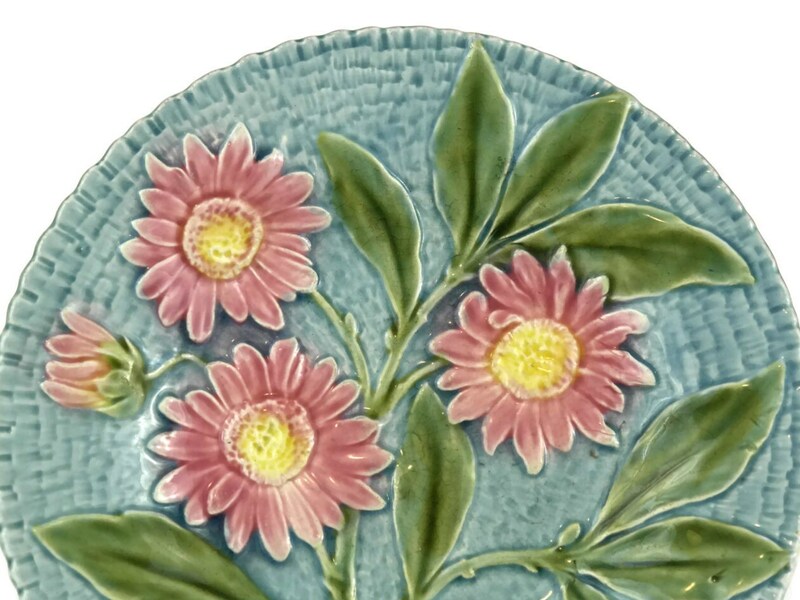 Pink and Turquoise Majolica Leaf Plate. 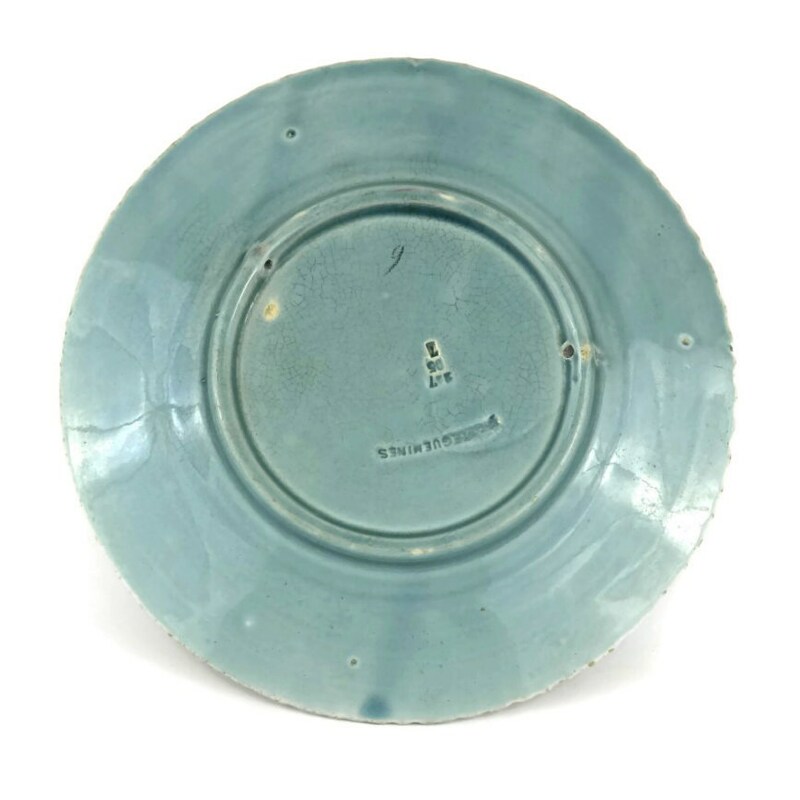 A beautiful antique French majolica plate dating to the early 1900's and manufactured by Sarreguemines. It features a raised design of bright pink daisies among lush leaves. The wall plate has been decorated in rich colors on a turquoise background. 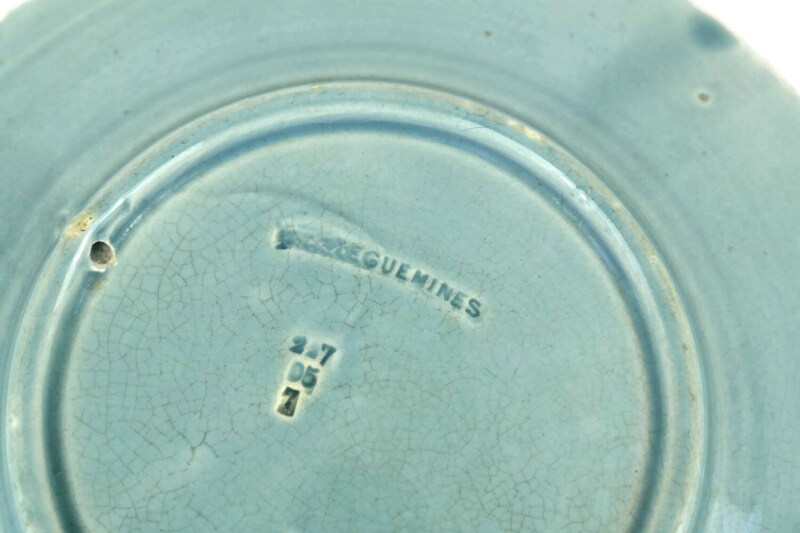 It has been stamped with the maker's mark and pattern number on the base and has two small holes to attach a wire or string to hang the plate from the wall. 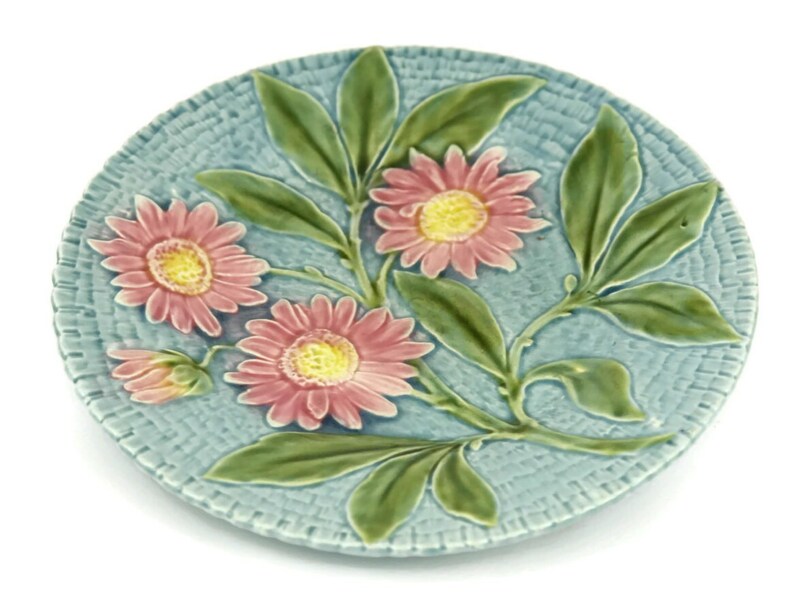 The majolica plate is in good antique condition with age-appropriate wear including light crazing in places. There are no chips, cracks or restoration.